• To provide guidance for state and local leadership that can mobilize nurse volunteers and other healthcare providers at the local level to enhance prevention and improve health outcomes. The National Nurse would work side by side with the Surgeon General, and each would compliment the work of the other. We must strive to improve the health of all Americans. Go to www.nationalnurse.org to find out more about the Office of the National Nurse. 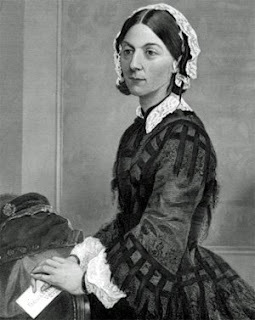 Florence Nightingale would want an Office of the National Nurse. How about you? Every American deserves a nurse. Before I go I want to let you know that I am hosting Change of Shift on April 3. Please send me your submissions by April 1 to nurseratchedsplace@yahoo.com. Change of Shift is a blog carnival that is held every other week. It was started by Kim at Emergiblog. Kim serves as host, or she will ask a guest host to put CoS together and post it on their blog. It's a lot of fun. Feel free to send me a post about a health care topic. Hope no one else loses their luggage while flocking to DC to fight for nurses and patients. That "DELTA" tag on your Samsonite? Stands for "Doesn't Ever Leave The Airport". Great talking with you, MJ! Let's get this baby off the ground! A National Nurse sounds a great project, very worthy. Can I just email you a link to a post I just wrote, as a submission? Because if I can...it will be on it's way shortly! Please, send me your link, shrtstormtrooper. I chose to do a group policy project on the National Nurse Act of 2006 last year. It was a very interesting topic to explore including some of the opposition to this particular legislation. I too almost went to DC with Terri, but it not work out. The one weakness that I saw, was the redundancy to the Chief Nurse Officer. However I see now that the NSNA considered that. Please revisit our website. You will see that their are many revisions to our proposal. The biggest revision addresses duplication of services. The ANA would like you to believe that this idea won't work. In fact, the ANA is knowingly circulating a letter that contains outdated information about the proposal. It's not very ethical or honest. I don't know why they are afraid of telling the truth. Love your blog. Please come to my blog because I have something for you. It's a surprise. I was just recently introduced to this issue at our recent annual convention of the National Student Nurse's Association in TX. A resolution was brought before us at the house of delegates to support the establishment of the office of the national nurse. This was an informal hearing, so the parliamentary rules of business meetings were not in effect, it was an informal hearing where we got a chance to debate for or against each resolution, before an official hearing, more debates and a vote. 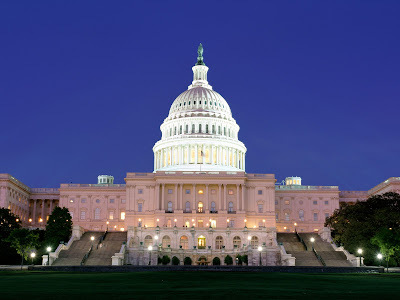 The presidents of both the American Nurses Association AND the National League for Nursing spoke out AGAINST the resolution. Although we all agreed on the WHEREAS points that established the need, the issue, they said, was that establishing an office of the National Nurse would disempower the executive nurse officers who already exist in the federal agencies, effectively replacing them with a figurehead that would be someone to rally around but wouldn't be able to effect change as readily. We all care passionately about the image of nursing and it's importance in our society, but it's my understanding that the Nurse Officer of the Public Health Service already serves this function, and is on equal legal footing with the surgeon general. In any event, after meeting with the presidents of those two national professional organizations, the authors of the resolution changed the language to replace establishing the office of the national nurse to supporting the executive nurse officer of the public health service. At first there was some outrage at this, because during business meetings, only NSNA members (those of us who were delegates) could speak from the floor. This was an informal hearing, however, and the motions of protest were out of order. Advising us in this way is their role in our organization. This was an emotionally charged issue, but many of the people debating didn't seem to have an understanding of the actual issues in play, but were rather emotionally defending a resolution that was handed down to them from their faculty. The finished resolution (which passed) will be availible soon at www.nsna.org, under "publications"
Thank you for your comment. Unfortunately, the leadership of the ANA is knowingly spreading misinformation about the proposed legislation. Establishing the Office of the National Nurse would give more clout to the Chief Nurse Officer of the U.S. Public Health Service (PHS). The Office of the National Nurse (ONN) would be established within the current framework of the PHS, and would be funded with money from the HHS budget. Did you know that the current position is only funded as a half time position? I wish the ANA would explain how that is that on par with the Surgeon General. Our group is hearing many stories about what happened at the convention. We have also received information directly from the authors of the resolution. I’m sure that more information will become public in the coming weeks. Again, thank you for your comments. I urge my readers to learn the truth about the campaign to establish the ONN. Visit our blog at www.nationalnurse.org. Wow, the more I hear about this the more complex it gets! Thanks for your informative and even-handed response. Why would the leaders of two of our national professional organizations be spreading misinformation in this matter? What is the perceived gain or advantage in doing this? Also, it's difficult for me to accept that pay equals power. That seems to make the argument for paying the PHS chief a fair wage, not apointing a new superior to him/her. I came away from the convention with a lot of frustration with the process. A lot of the debate was uninformed debate, people routinely refused to review the supporting documentation before debating, and parliamentary procedure was not enforced very well by our executive board (lots of people debating WHEREAS statements, which isn't allowed). I think it would be more effective if we could hash out some of these things online in advance of the business meeting, so we don't waste so much time with redundant arguments. We ran out of time before we could go back and revisit some of the resolutions I felt strongly about, like reducing noise levels in the hospital (which failed because it included too many specific remedies). If we were able to discuss the resolutions online as they're accepted, we can debate and flesh out arguments and get revisions done well in advance of the business meetings. I'll check that blog out, but I'm still reaching for some objective, third-party analysis and I can't seem to find any.